Authentic reproductions of the JMI era AC-30 head enclosure. Manufactured exclusively by North Coast Music and authorized and licensed by Vox Amplification, Milton Keynes UK. The AC-30/6 head cabinet is constructed from 3/4" baltic birch featuring gussetted locking half lap construction. The cabinet is covered in traditional basket weave vinyl and available with either brown or black Vox diamond grill. One pin corners, one VAP-074 handle and three brass vents are also included. Slider boards are not included, but available at option. Outside dimensions: ~27 3/8" W x ~10" T x ~10 3/8" D. Control panel cutout: 3.125" x 19.5." About 25 pounds. This head cabinet will only accomodate the JMI Vox AC-30/6 (six input) chassis. How do I know if I have a JMI AC-30/6 chassis? It will have three channels, six input jacks, the cabinet will have a 19.5" wide control panel cutout and the control panel will say "a JMI product" near the power switch. VSL, Dallas Arbiter, Rose Morris, and Korg era chassis will not fit in this cabinet nor is there a way to modify either the chassis or cabinet to make this possible. North Coast Music does not manufacture combo or head cabs for VSL, Dallas Arbiter, Rose Morris, or Korg era Vox chassis. NCM-150 - AC-30 Head Cab - As described above, for JMI AC-30/6 chassis only. Your choice of brown or black Vox grill. No electronics are included or offered by North Coast Music for these cabinets. Please allow several weeks for delivery. NCM-150TB - AC-30 Head Cab With a Rear Panel Access Hole for a "Top Boost" Kit - As VAP-160 above but with a rear panel access hole for a "Top Boost" add-on kit, for JMI AC-30/6 chassis only. 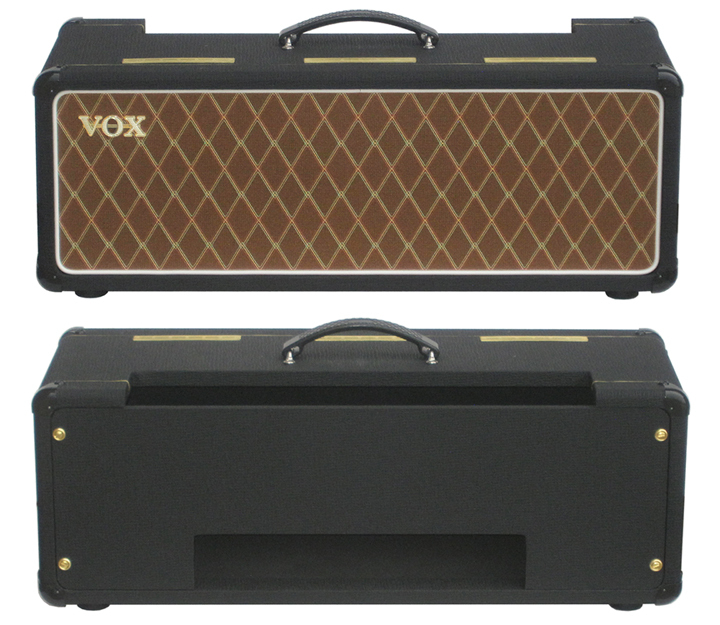 Your choice of brown or black Vox grill. No electronics are included or offered by North Coast Music for these cabinets. 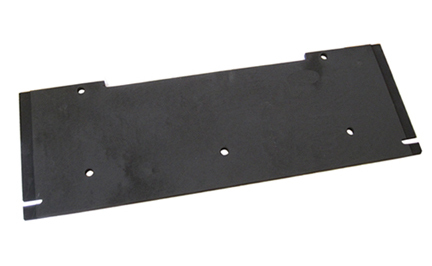 Replacement Slider Board for chassis mounting on rectangular JMI era AC-30 Vox combo and head cabinets - Identical to the original piece, 3/8" thick baltic birch, ~25.75" wide, all correct mounting holes included. Does not fit trapezoid head cabs. VOX is a registered trademark of VOX Amplification, UK. © 1996-2018 North Coast Music. All rights reserved.